The northern hemisphere’s most prestigious rugby tournament gets going on Friday 1st February when Wales play France in Paris. Such is the lop-sided number of fixtures in the tournament, there’s only two games in Cardiff this year, but they’re big ones: Wales host England on the 23rd February before welcoming Ireland on the 16th of March. The Principality Stadium is unique, as unlike other most other massive sporting venues its placed slap bang in a city centre. This means there’s a spectacular selection of eateries for every budget practically on the stadium’s doorstep. Of course, you could join everyone else on Caroline Street for cheese, chips and curry sauce after the game, but you’d be missing out on some seriously good food if you did. So, read on for our selection of the best places to eat before or after the match, all of which are conveniently located a Brains SA-fuelled stumble away from the stadium. Café Cita is famed and wide for its wood-fired dough delights, but it can be difficult to get a table at the best of times – let alone match day. The Wood Fired Pizza Company has picked up rave reviews and has a bit more capacity. Brewpub OGs Zero Degrees are also famed for their pizzas (the Carne Asada bangs hard), and you can’t really get much closer to the stadium. 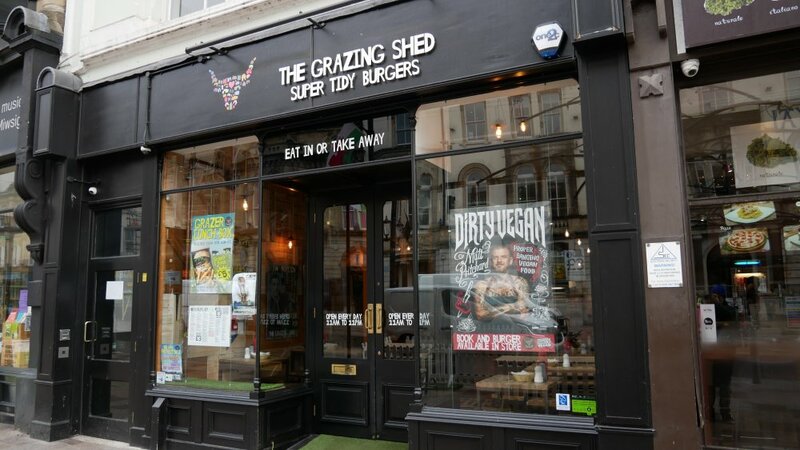 The cheeky scamps at Brewdog’s burgers aren’t to be trifled with, while Cardiff burger kingpins The Grazing Shed have a conveniently located outpost on St Mary’s St. 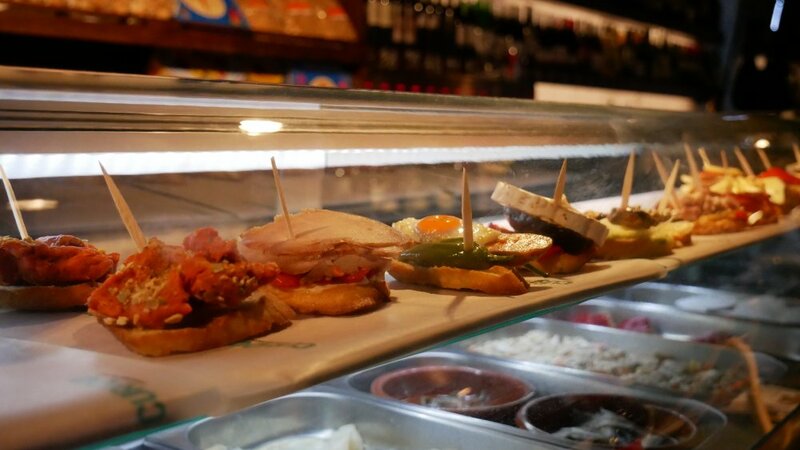 While there’s no Iberian representation in the Six Nations tournament itself, there’s a trio of top Spanish eateries located in the looming shadow of the Principality Stadium. First up, Curado – this multi-storied affair occupies the site of the old Burger King restaurant on Westgate St. The days of the Whopper here are long-gone – now you’ll find a delicious line-up of tapas and a top-notch wine selection. Further up Westgate St you’ll find beloved tapas joint Bar 44 and its sister restaurant, meat specialists Asador 44. Speaking of meat, beloved Portuguese restaurant Madeira, formerly at Guildford Crescent is now serving up its formidable skewers and peri peri from its new home on St Mary’s St, Ty Madeira. It beats a Nando’s any day of the week. Westgate Street’s Mango House is one of the city centre’s top destinations for a ‘Ruby Murray’. But if you’re up for something a little different, take a quick hop over the water (not literally – for heaven’s sake use the bridge) and check out Madhav in Riverside – attached to a world foods supermarket, it’s a welcome respite from the carnage in town and does exquisite dosas (crispy rice pancakes stuffed with curried potato) and thalis. 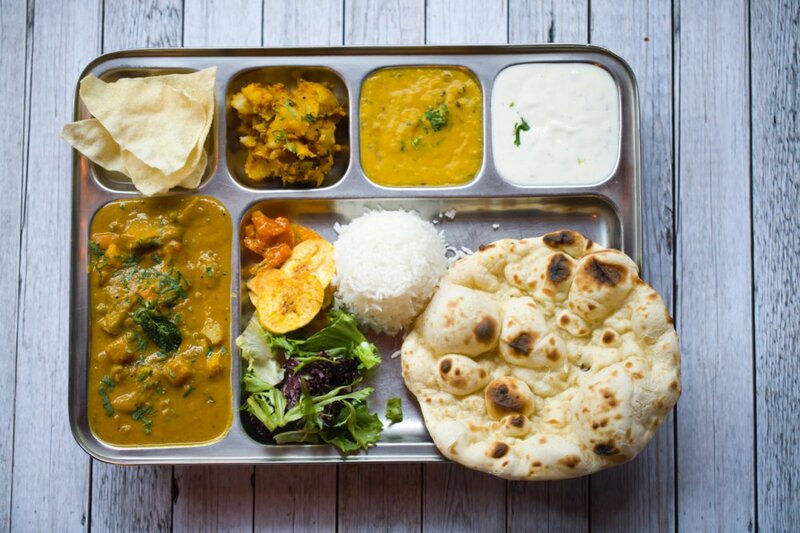 Elsewhere, the city centre branch of the excellent Chai Street mini chain and its delightful array of contemporary Indian food is located just a short walk from the stadium. Sticky Fingers, the new street food section of the Brewery Quarter has brought an excellent line-up of local vendors together – we reckon one of Mr Croquewich’s decadent grilled cheese sarnies will really hit the spot after a thirsty day of cheering on the boys. 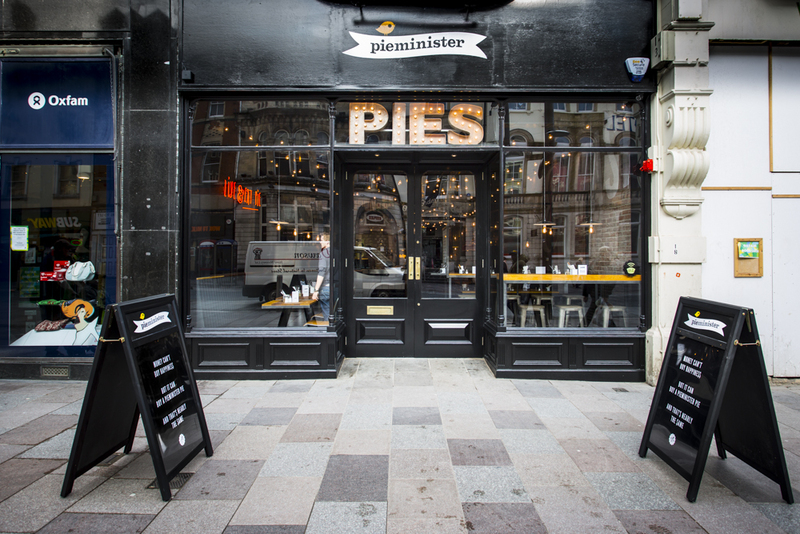 If you’re after some next level serious stodge before or after game then Pie Minister’s gloriously filling (and delicious) pie, mash and gravy plates will be just the thing you’re after. What’s your favourite place for a pre-or-post match feed in Cardiff?